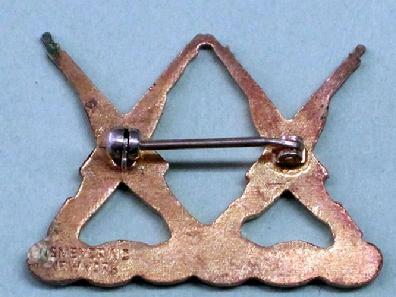 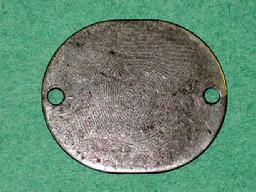 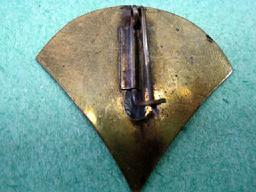 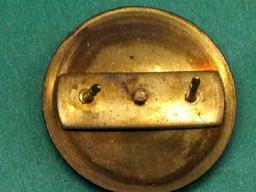 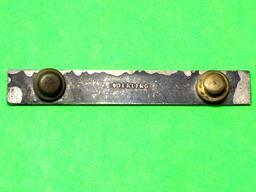 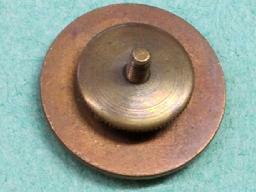 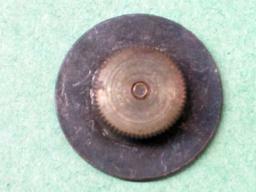 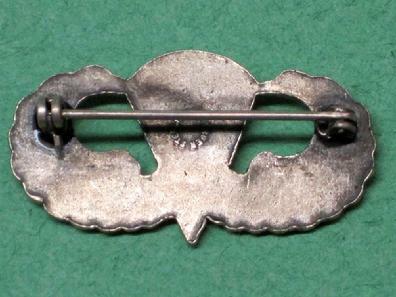 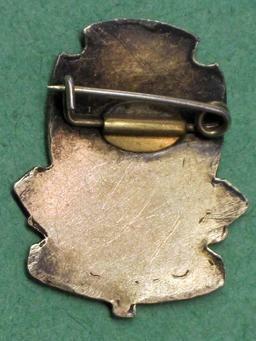 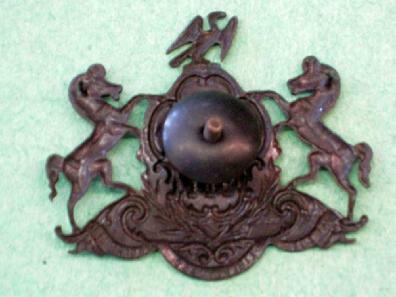 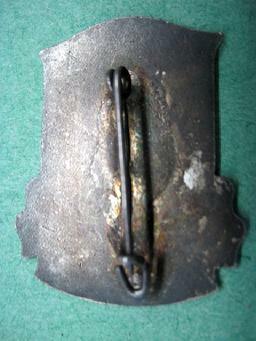 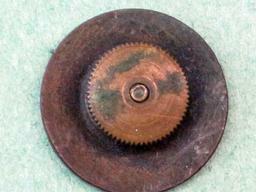 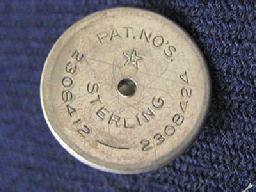 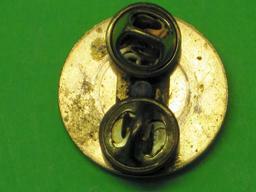 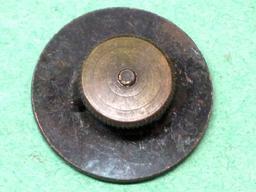 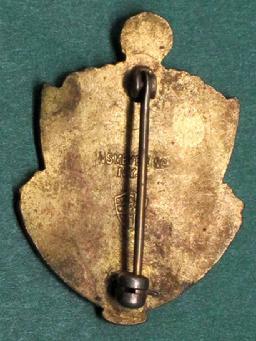 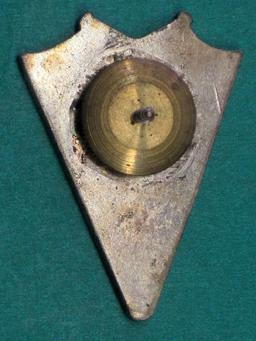 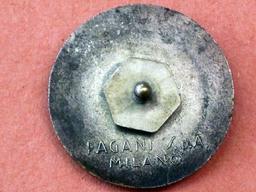 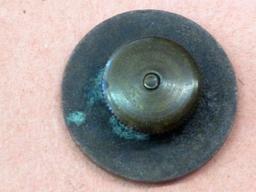 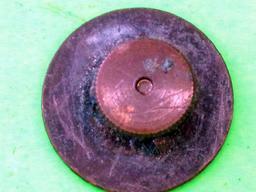 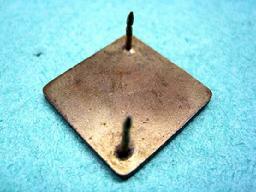 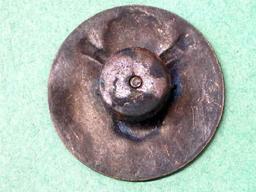 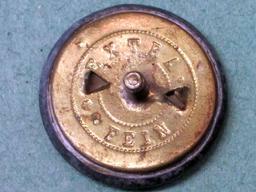 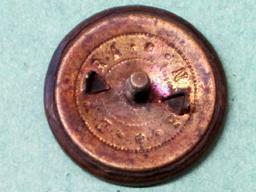 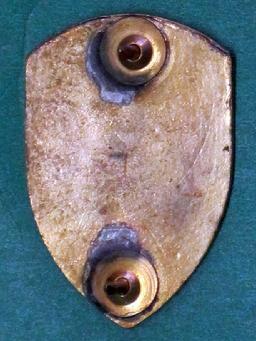 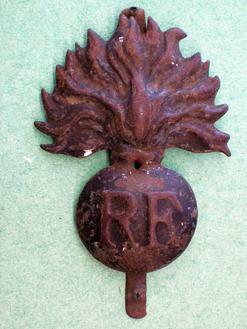 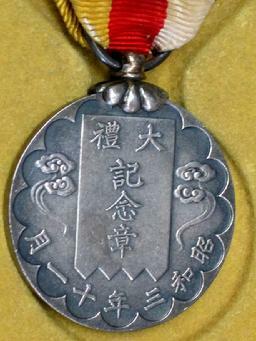 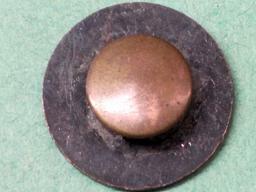 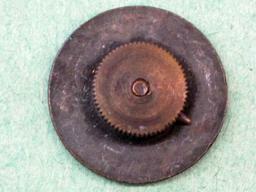 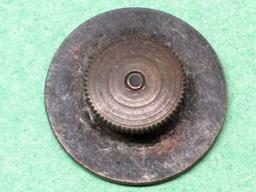 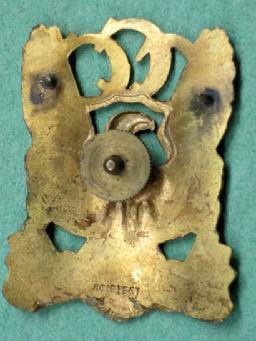 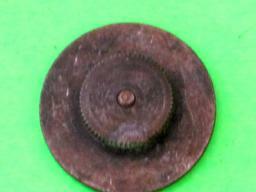 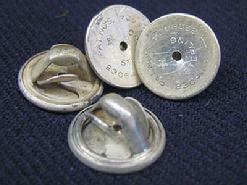 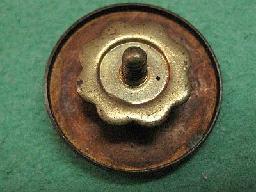 See IN174 (below) for a similar collar disc. 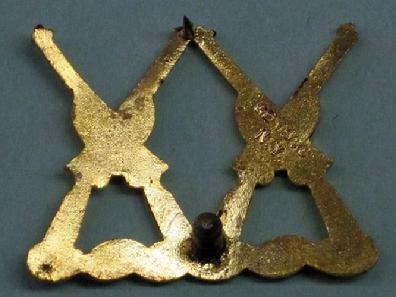 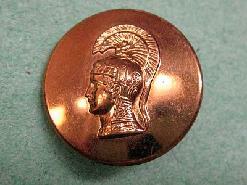 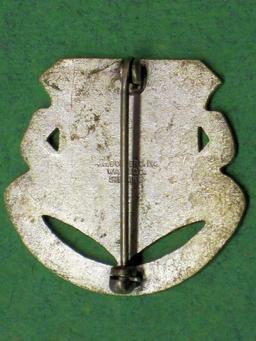 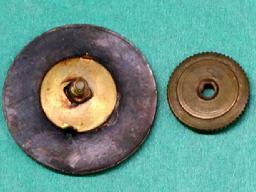 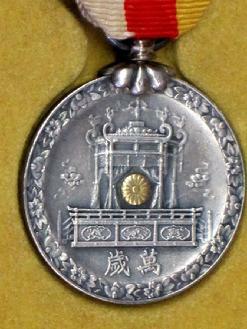 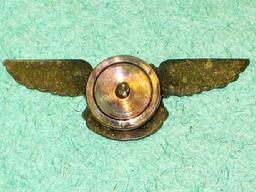 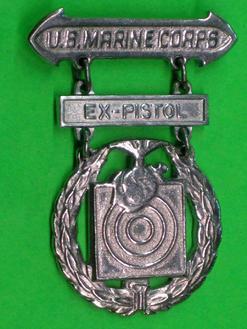 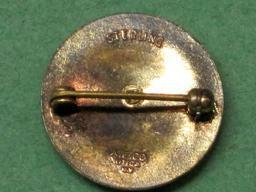 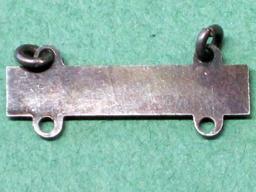 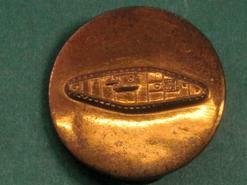 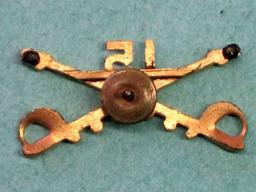 See IN175 (above) for a similar collar disc. 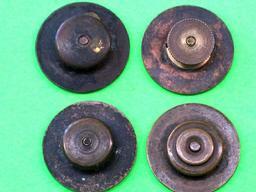 These discs are screwback and in very good condition. 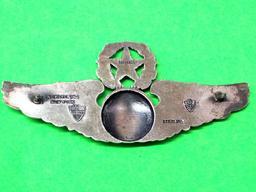 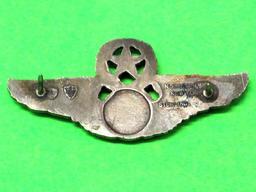 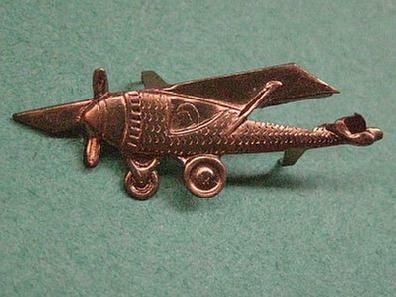 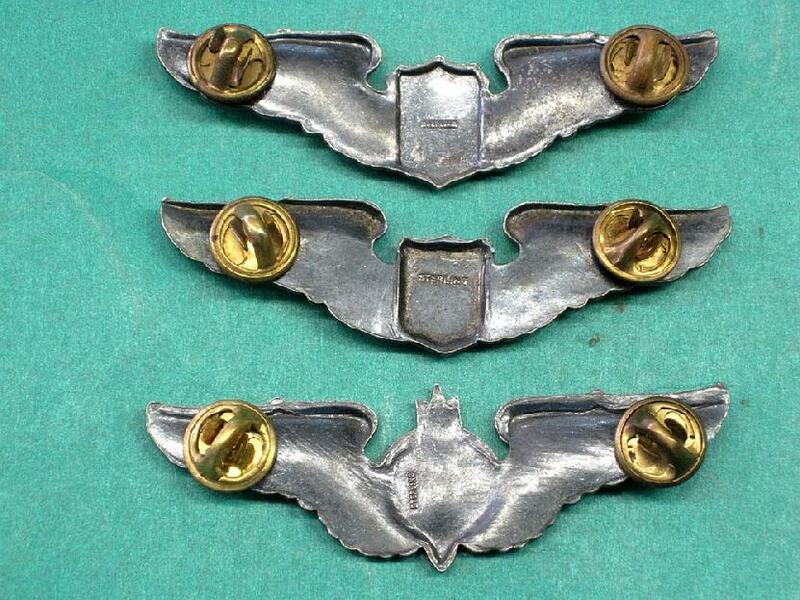 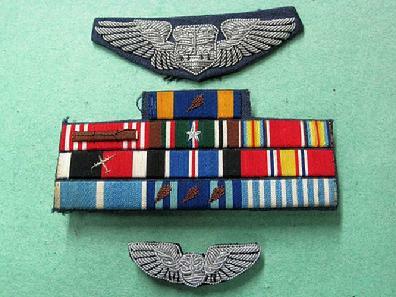 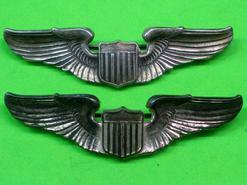 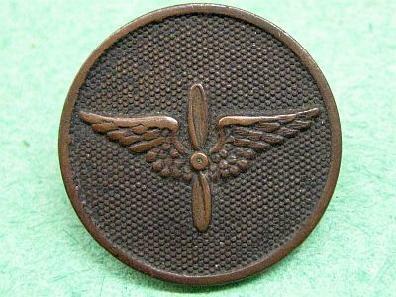 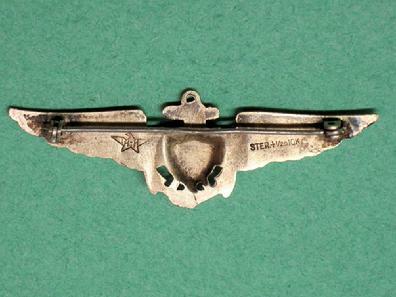 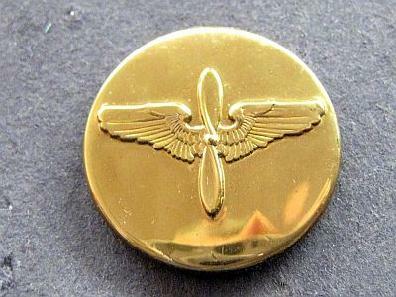 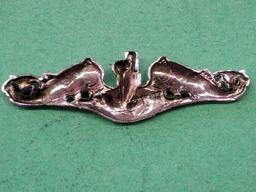 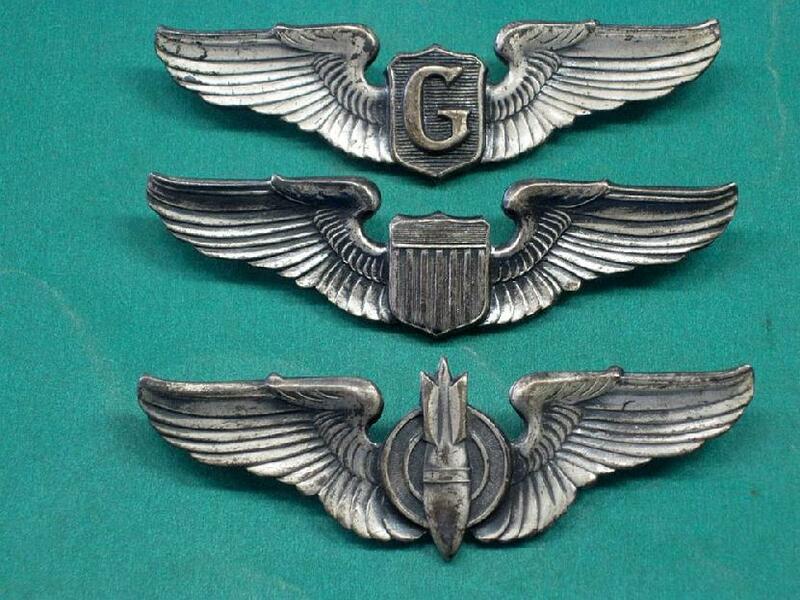 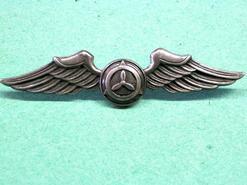 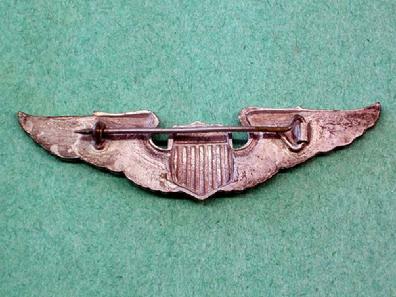 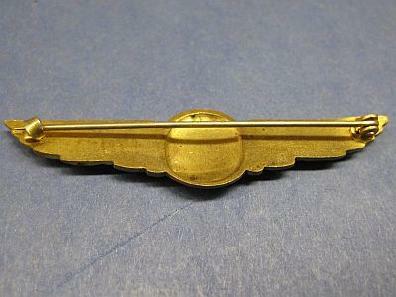 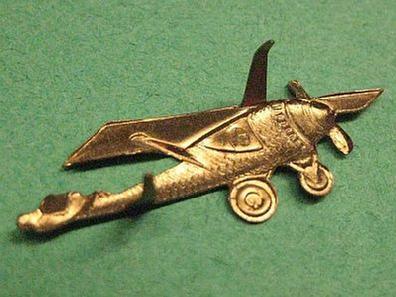 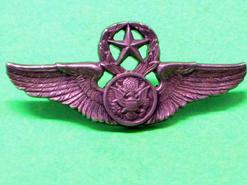 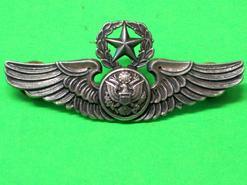 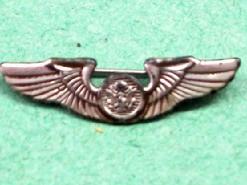 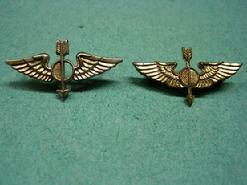 These wings are clutchback, three inches wide and are marked "STERLING". 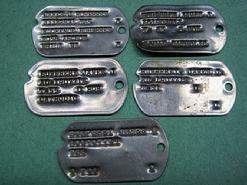 They are tarnished but in excellent condition. 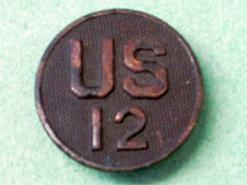 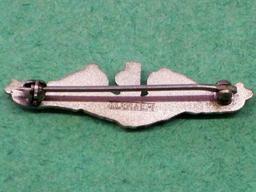 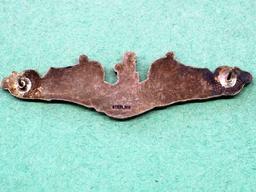 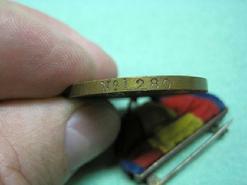 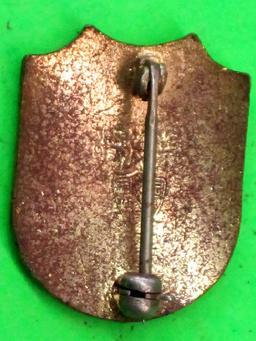 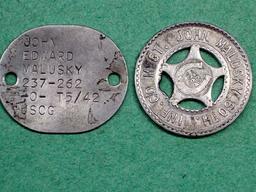 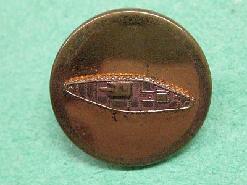 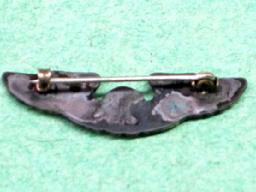 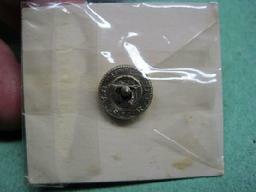 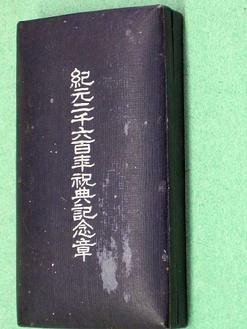 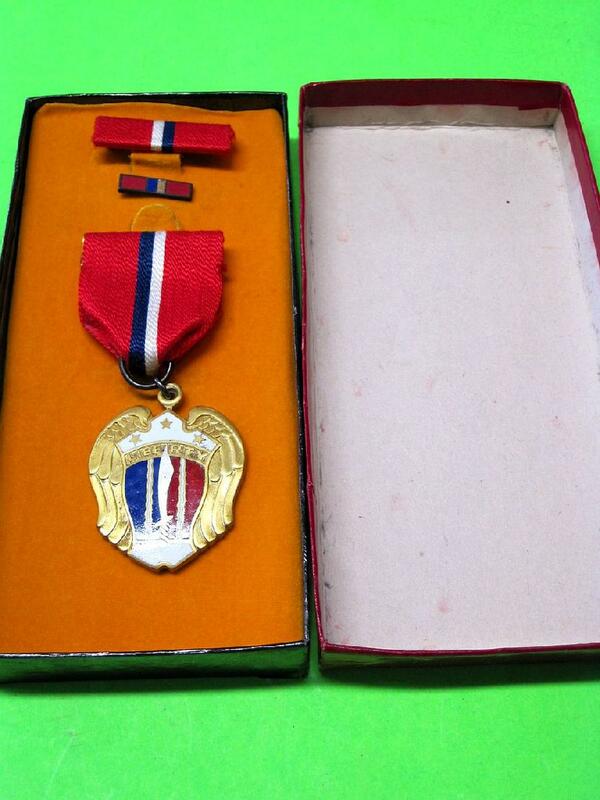 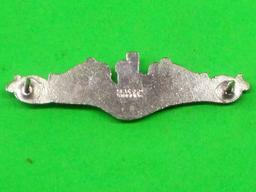 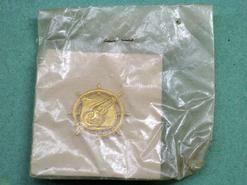 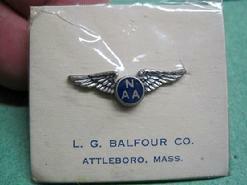 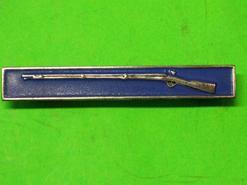 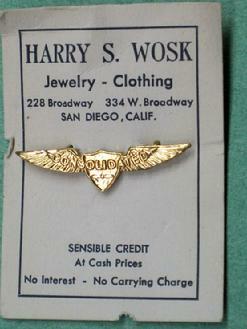 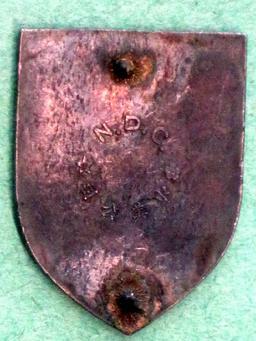 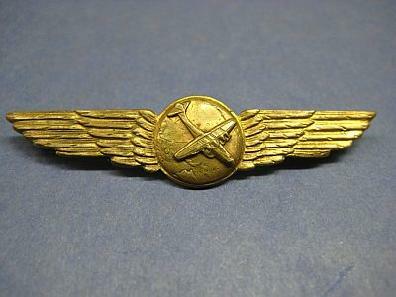 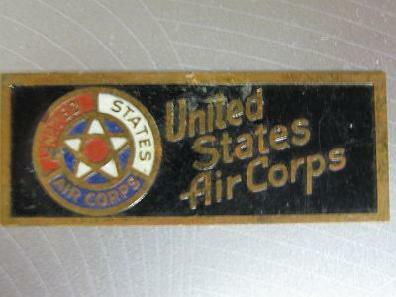 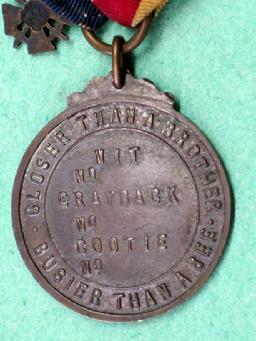 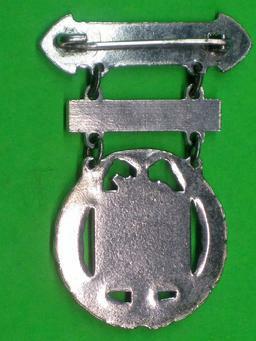 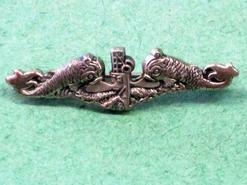 IN123 World War II Transportation Officer Collar Device in original packaging. 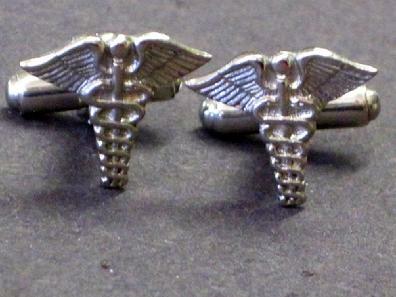 IN120 Vintage Medical Cuff Links. 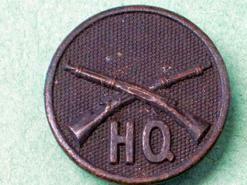 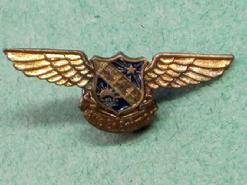 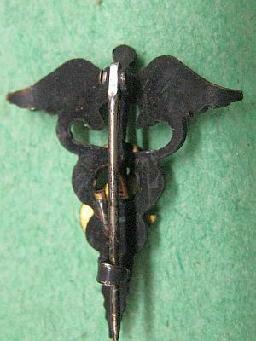 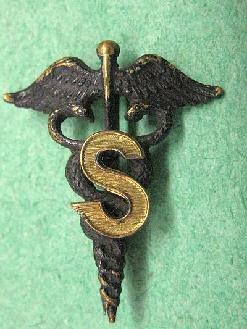 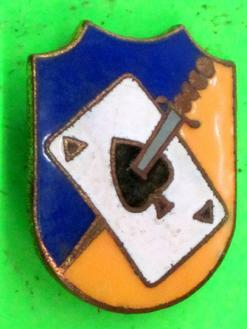 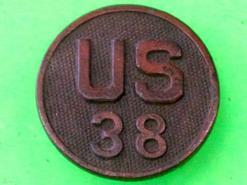 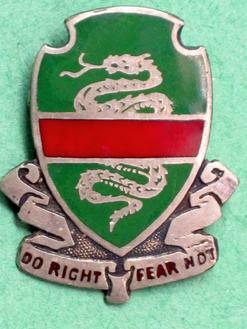 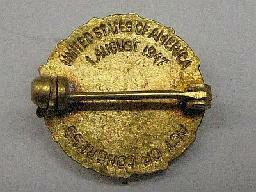 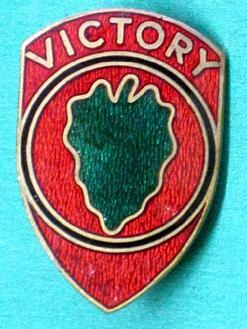 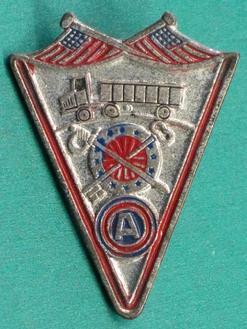 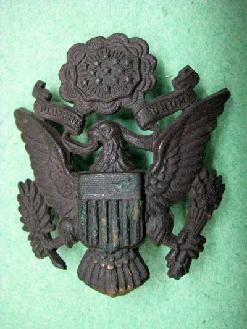 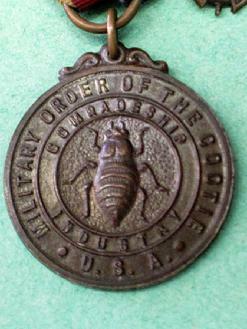 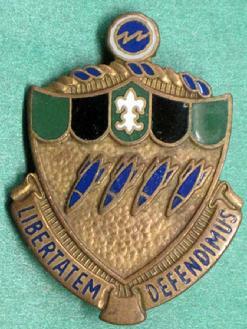 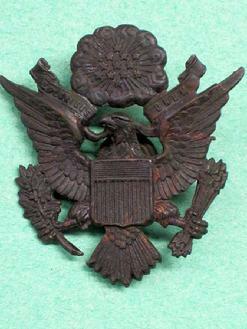 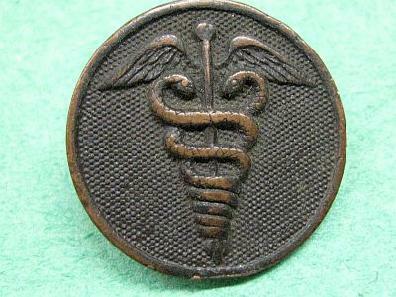 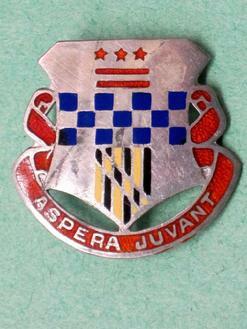 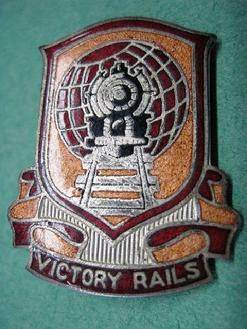 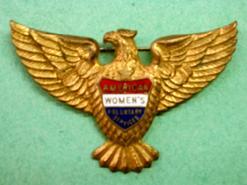 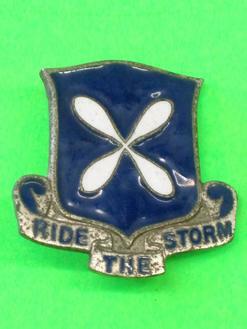 IN113 World War II AMERICAN WOMEN'S VOLUNTARY SERVICES badge. 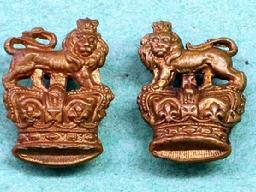 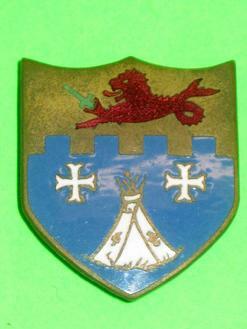 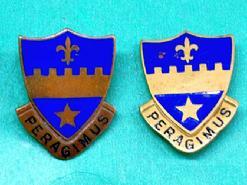 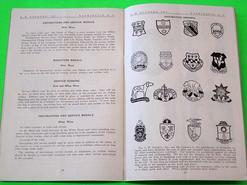 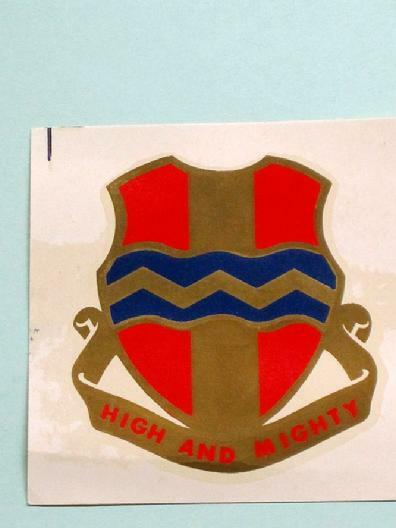 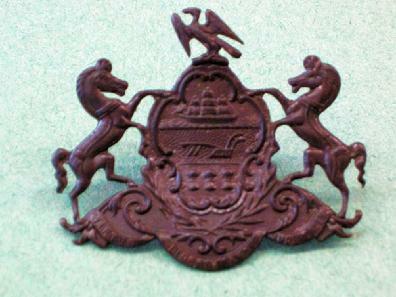 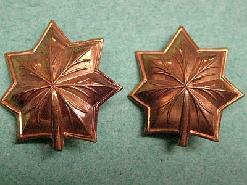 These crests, or Distinctive Insignia, of the 358th Infantry Regiment are both made by N.S. 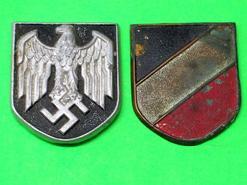 Meyer and are in excellent condition. 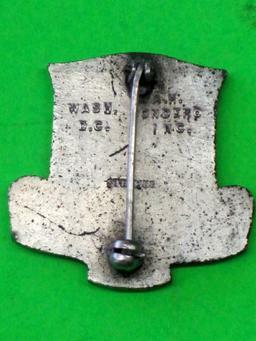 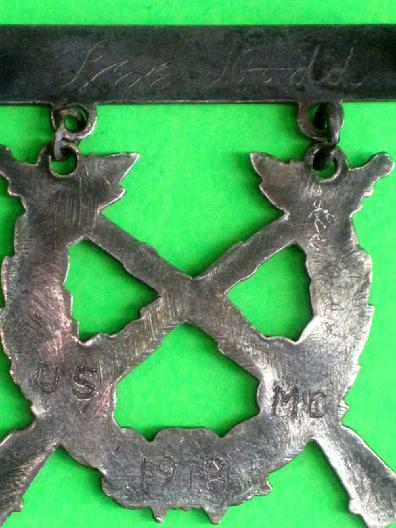 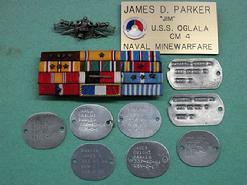 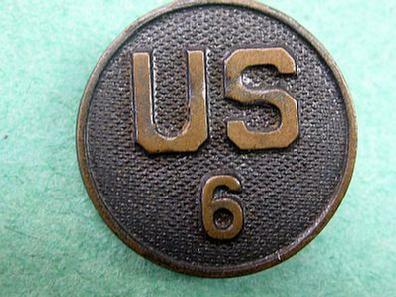 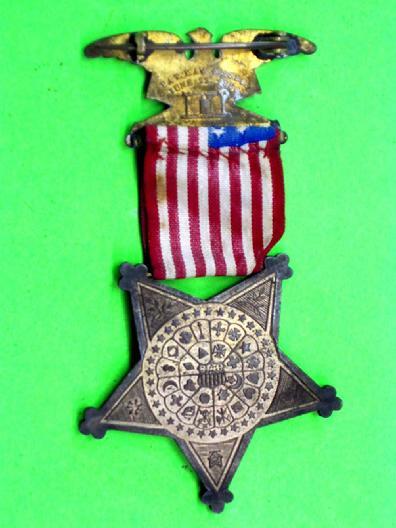 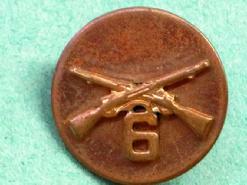 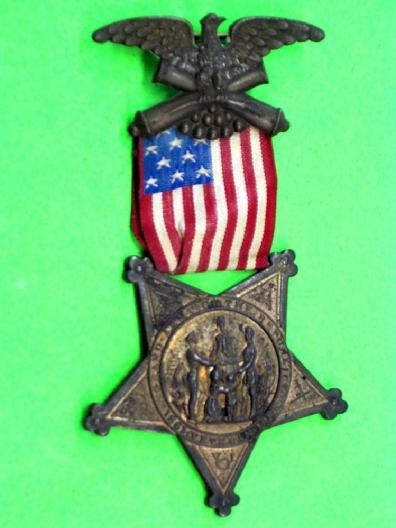 IN097 Vintage U.S. Infantry Enlisted Collar Device with "6"
IN089 World War II & Korean War U.S. Navy Ribbon Set, Dog Tags and more. 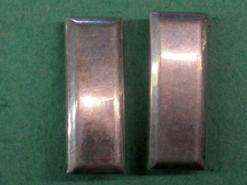 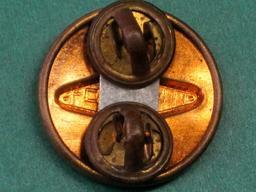 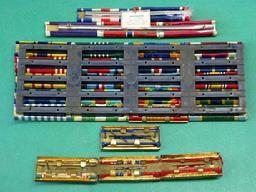 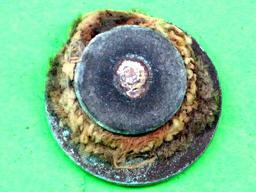 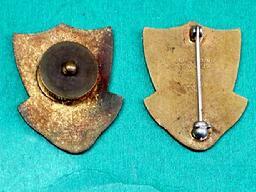 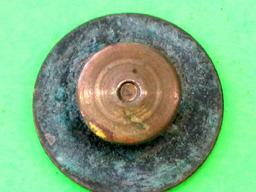 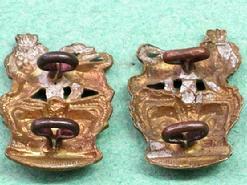 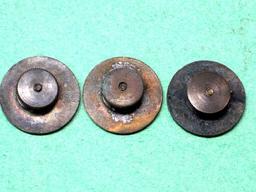 These pins are unmarked, 1 1/8 inch wide and in excellent condition. 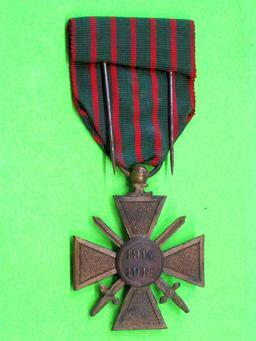 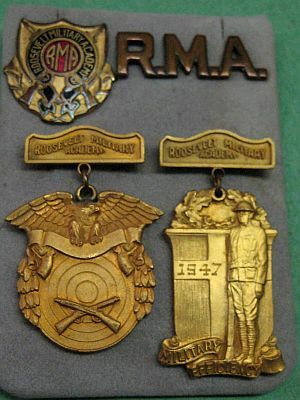 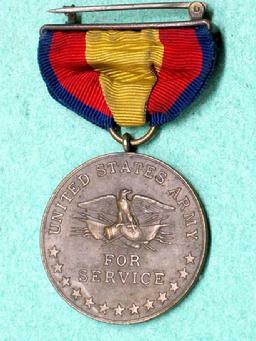 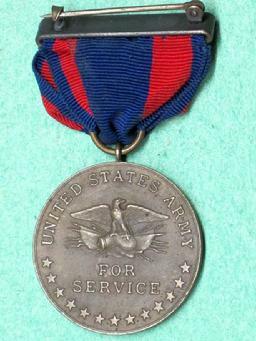 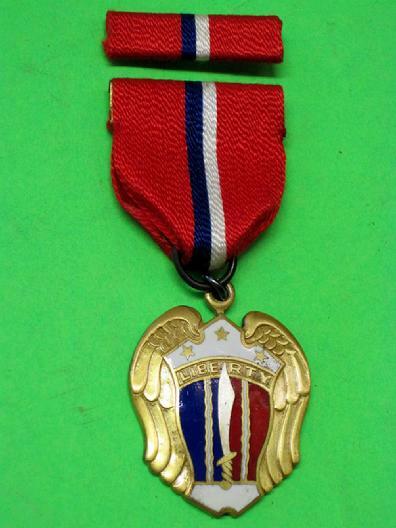 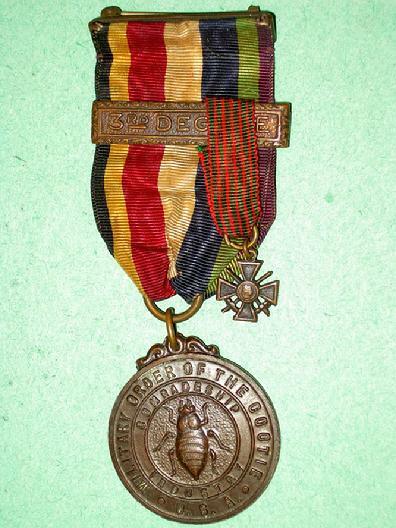 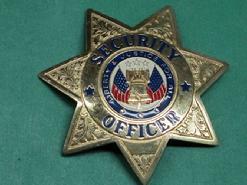 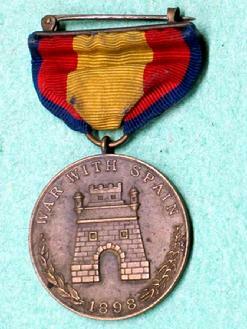 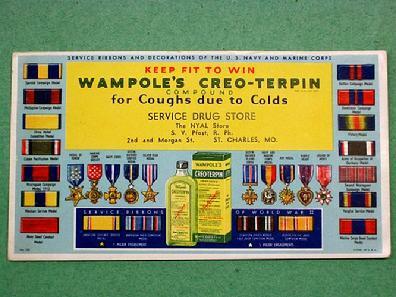 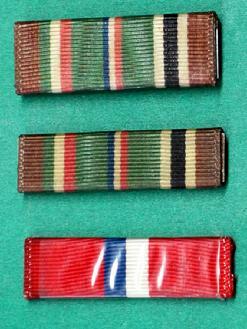 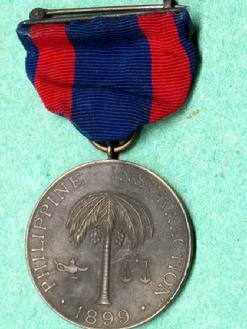 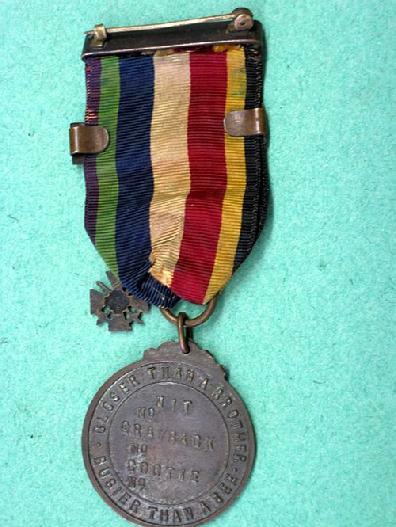 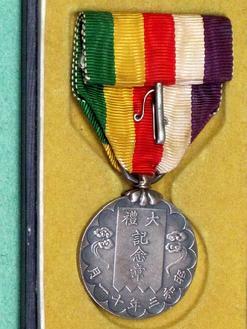 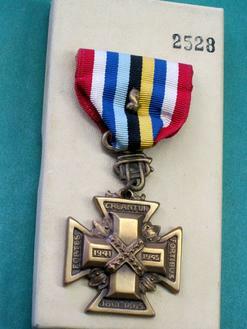 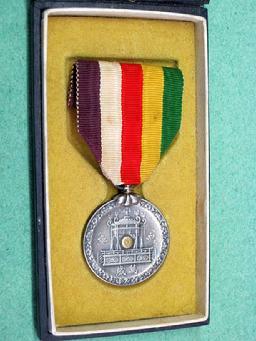 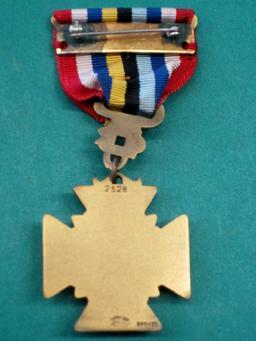 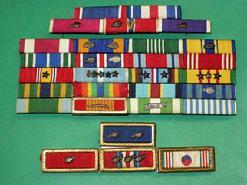 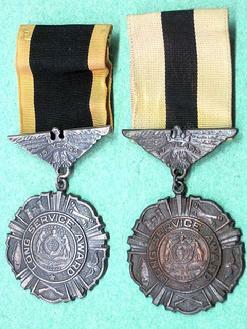 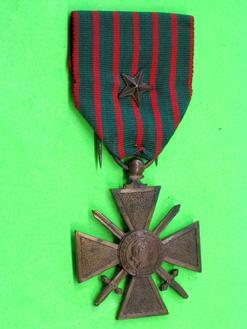 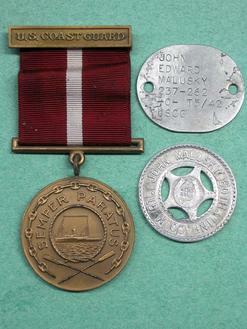 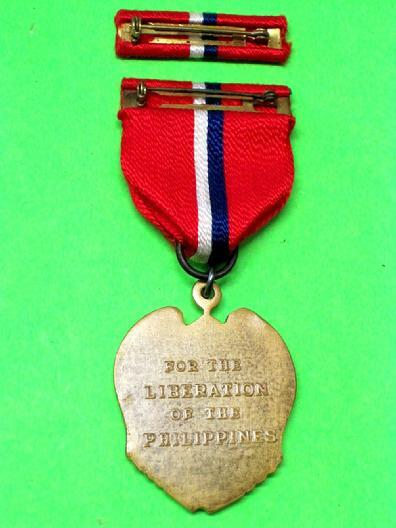 These medals are 1 3/8 by 3 1/2 inches in size and in excellent condition. 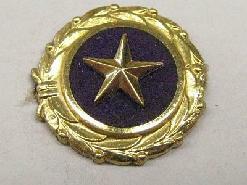 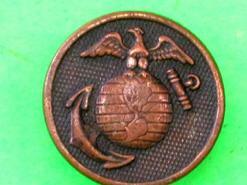 IN014 Purple Heart Medal Lapel Pin for Next-of-Kin. 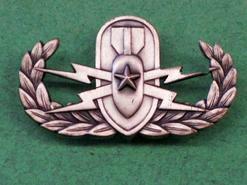 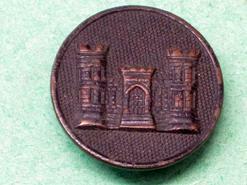 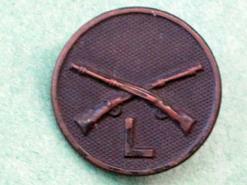 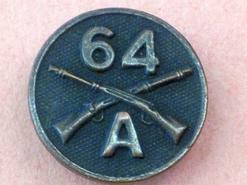 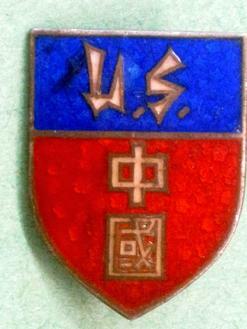 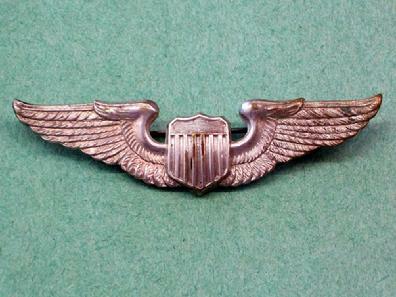 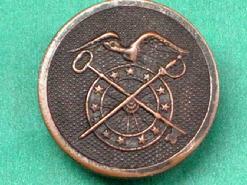 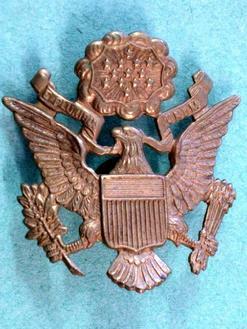 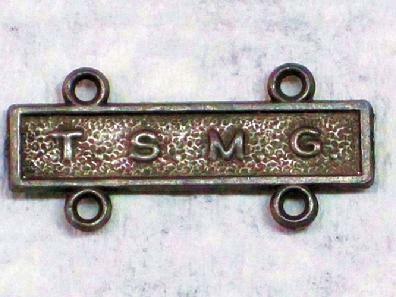 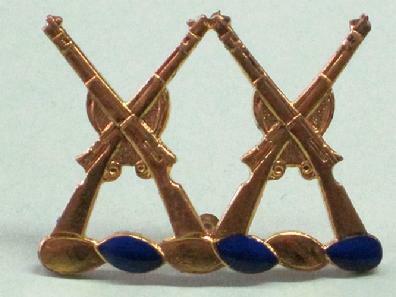 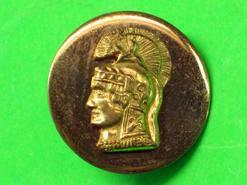 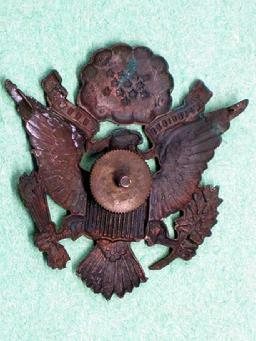 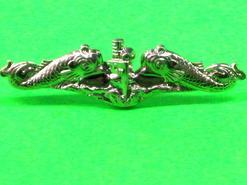 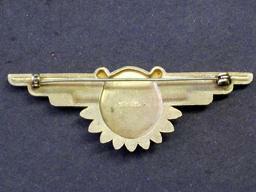 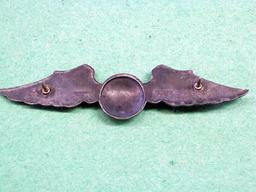 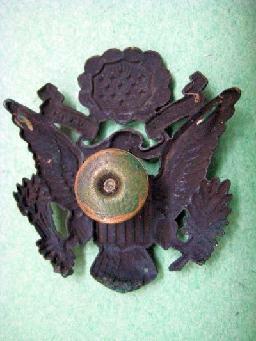 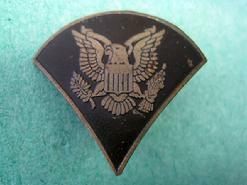 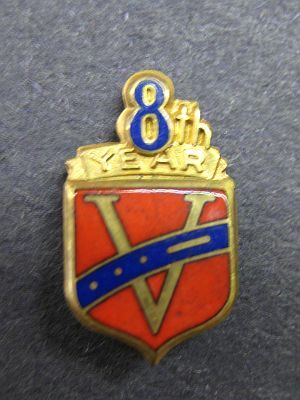 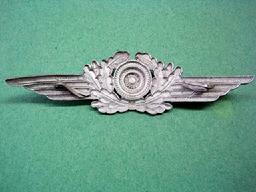 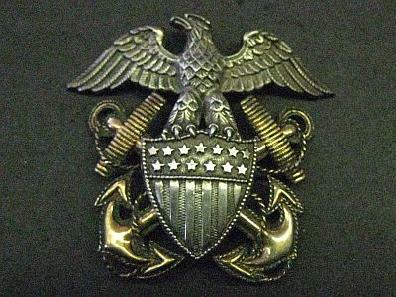 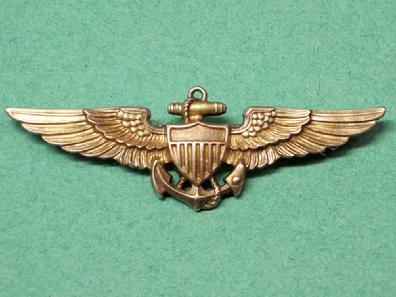 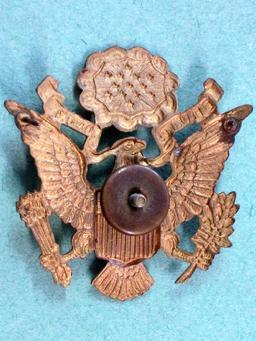 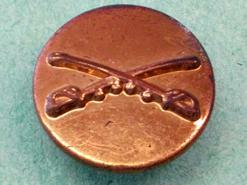 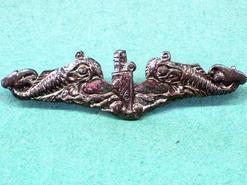 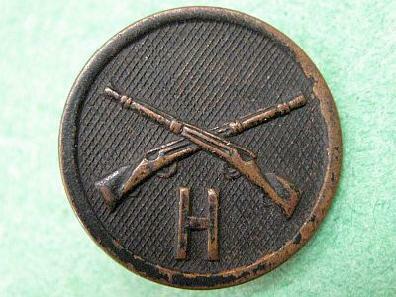 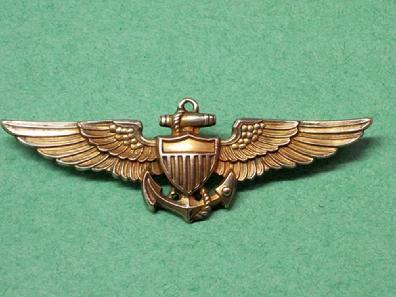 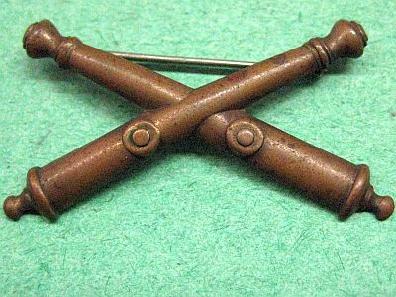 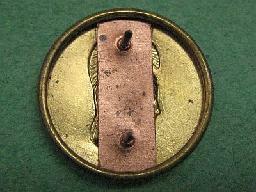 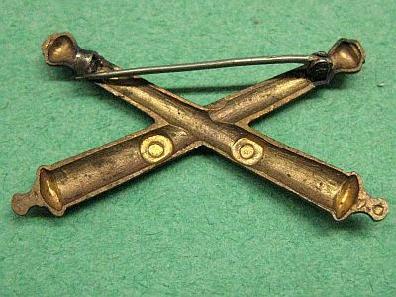 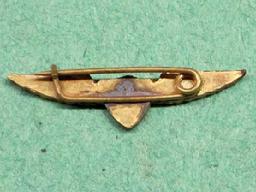 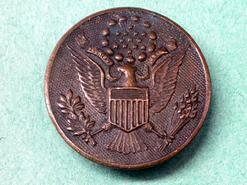 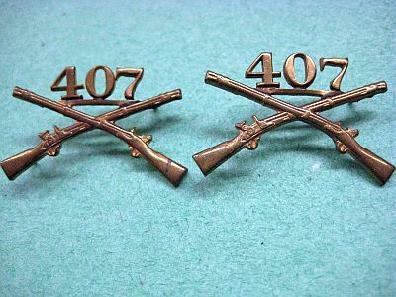 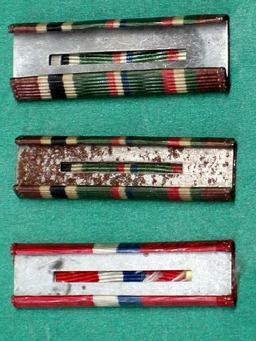 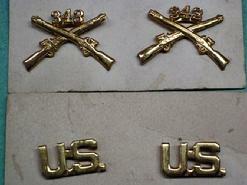 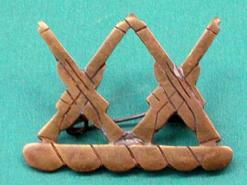 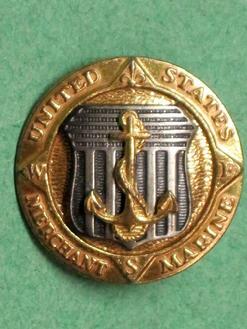 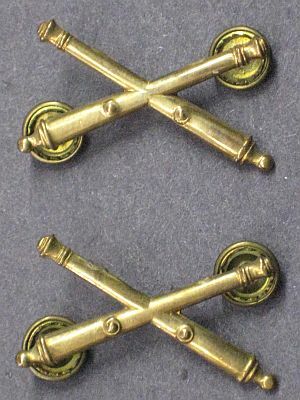 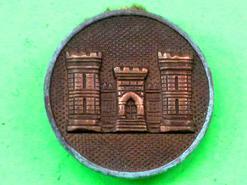 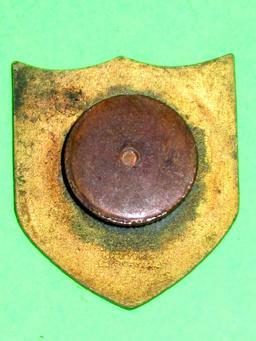 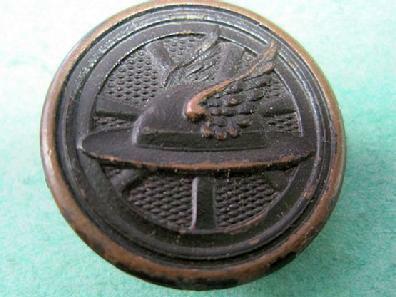 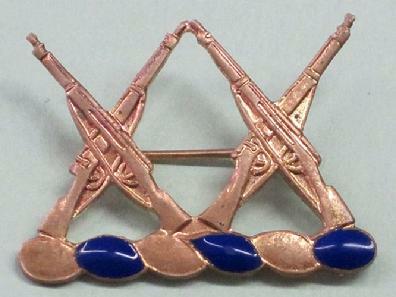 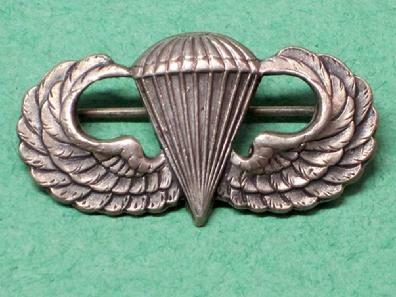 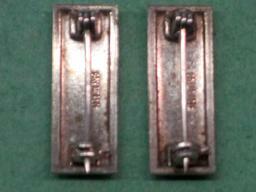 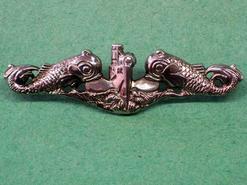 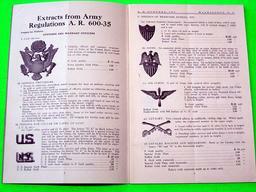 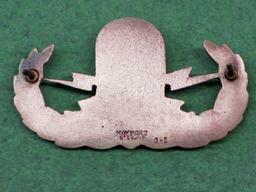 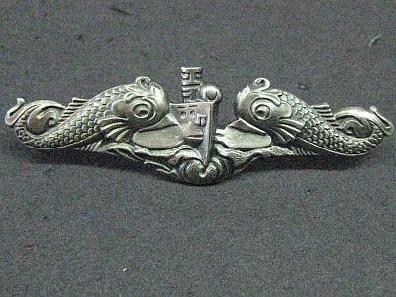 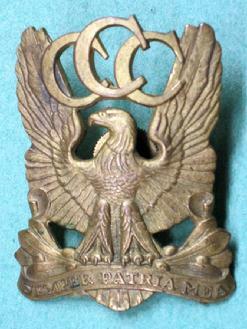 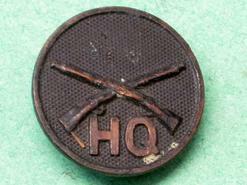 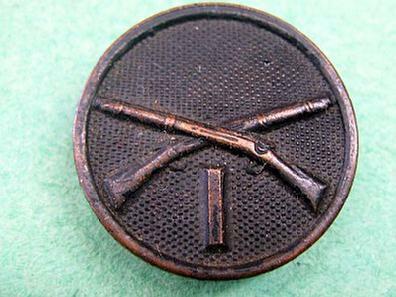 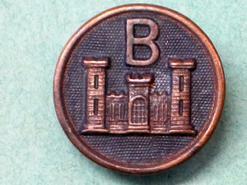 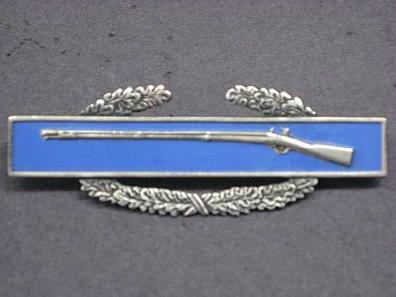 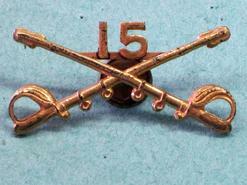 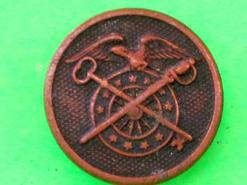 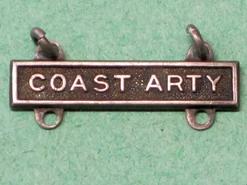 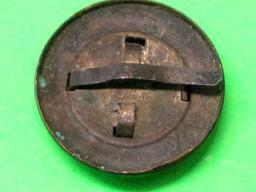 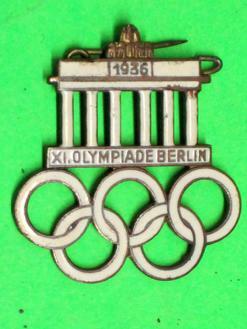 IN012 Pre-World War II Artillery U.S. Army Officer Collar Insignia. 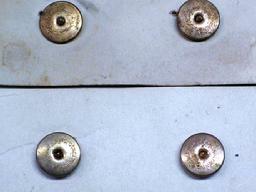 Screwback, 1 1/2 inches wide, excellent condition, $25 for the pair. 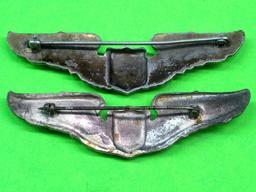 IN020 World War II Infantry Officer 407th Infantry Regiment Collar Brass, 1 1/2 inches wide, clutchback, excellent condition, $20 for the pair. 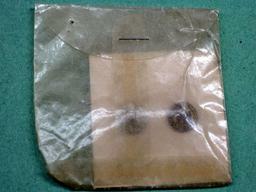 IN004 Original World War II Nazi German Afrika Korps sun helmet insigia set. 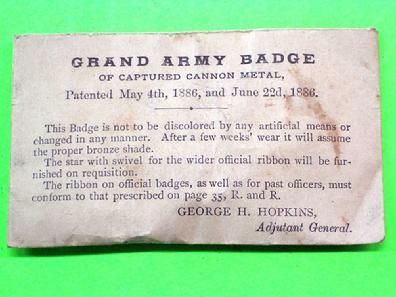 Unused, excellent condition. 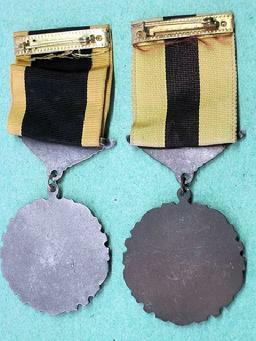 $45.00 for the pair. 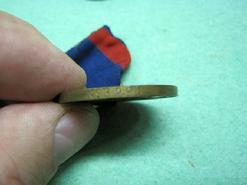 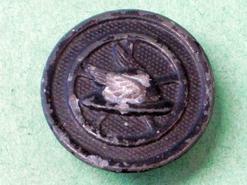 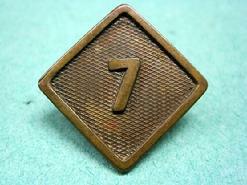 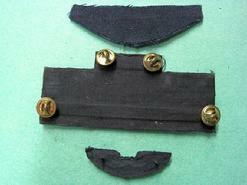 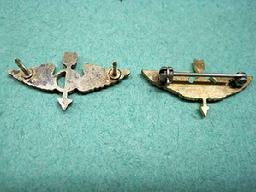 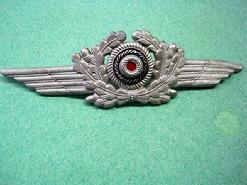 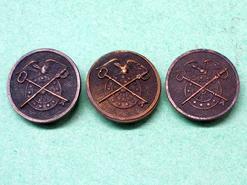 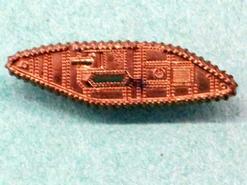 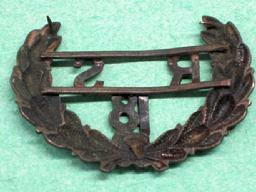 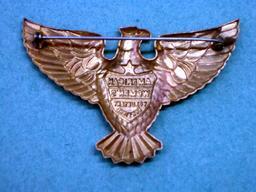 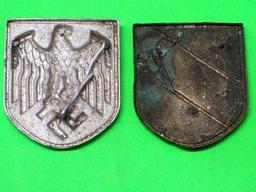 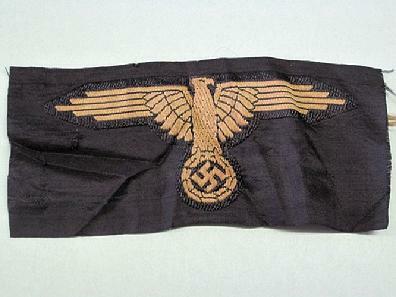 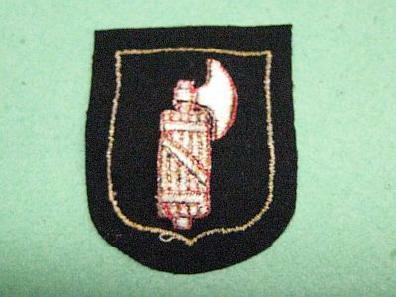 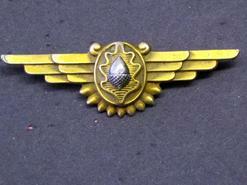 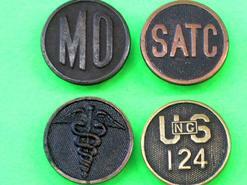 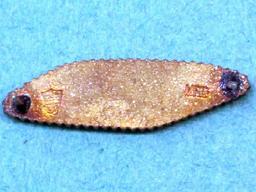 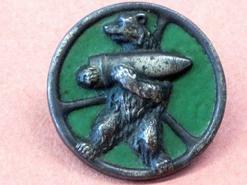 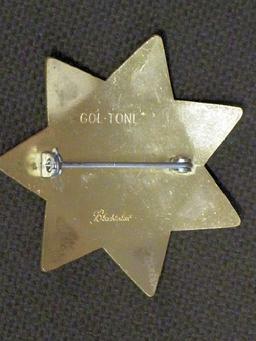 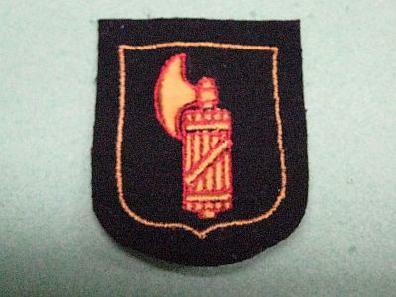 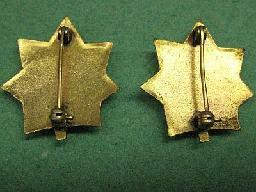 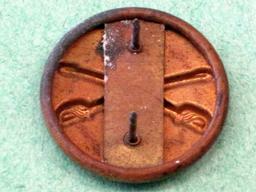 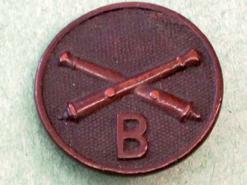 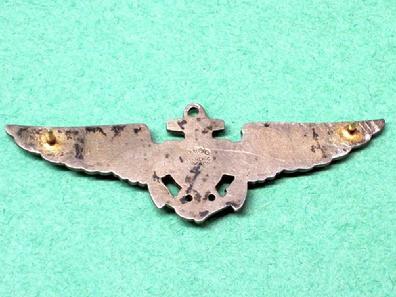 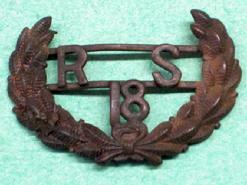 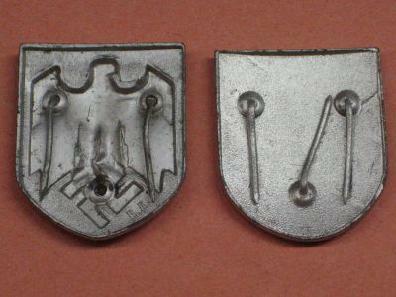 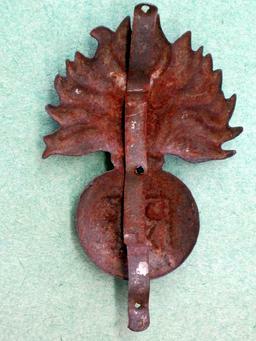 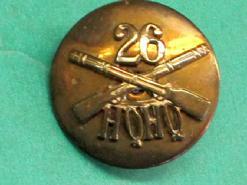 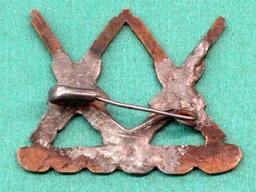 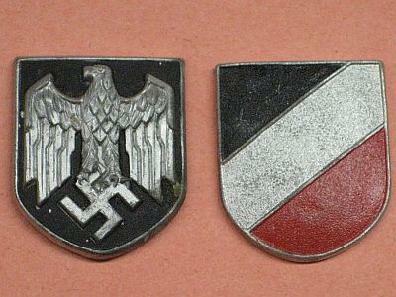 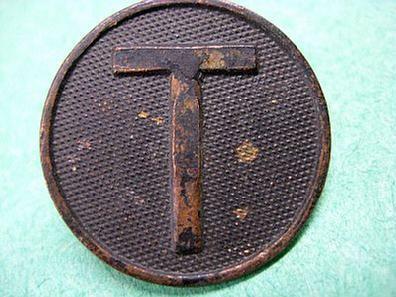 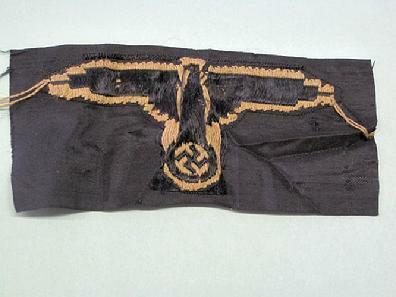 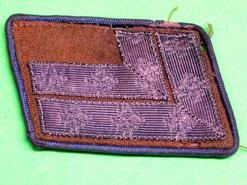 Recently we have purchased a quantity of original German SS cloth insignia. 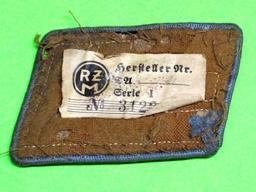 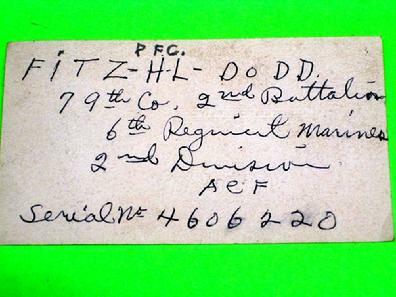 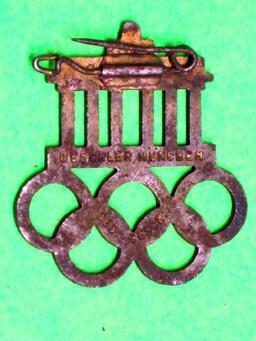 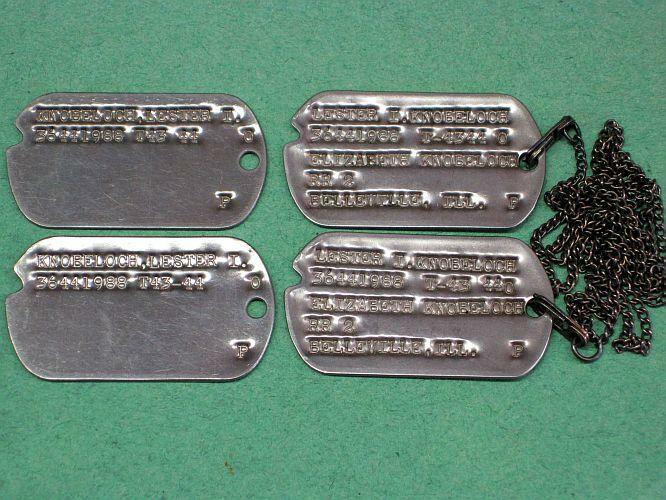 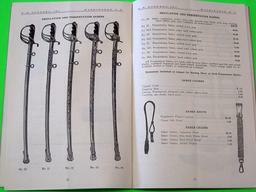 Third Reich collectors sometimes refer to these groups as a "Dachau find." 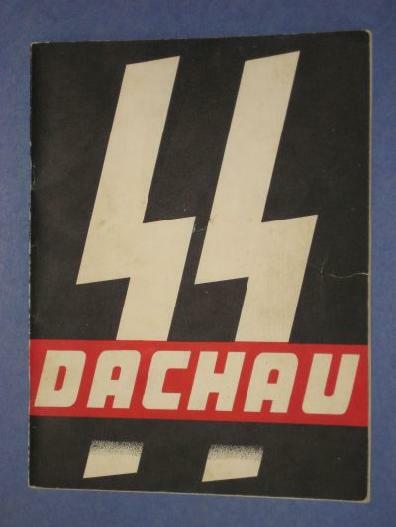 The Unit History "DACHAU", as seen to the left, was also with this group. 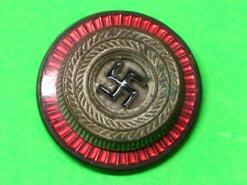 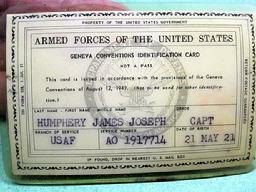 The veteran was part of the force that liberated the concentration camp. 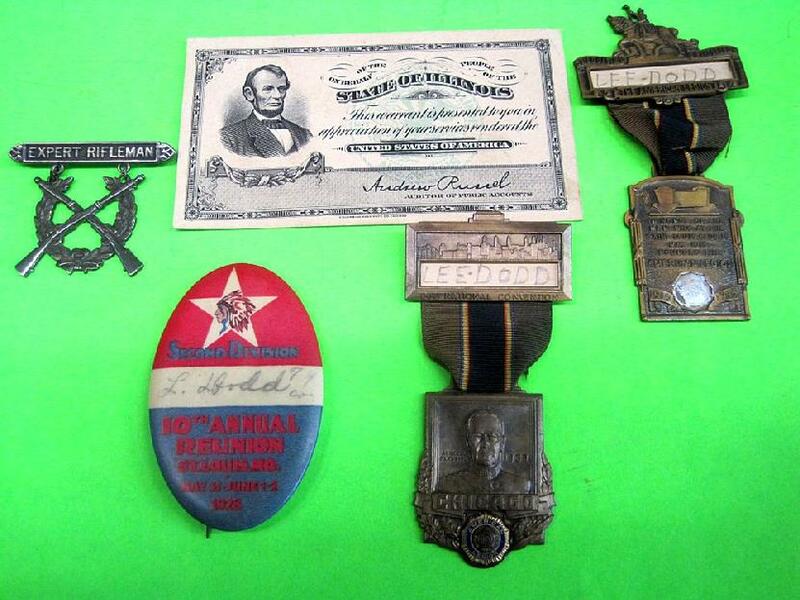 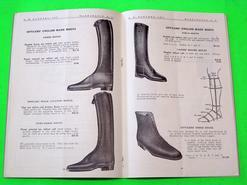 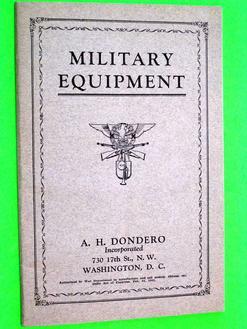 All of the following items are authentic, period pieces.